This product is discontinued, please consider the Logic Pirate as an alternative product. 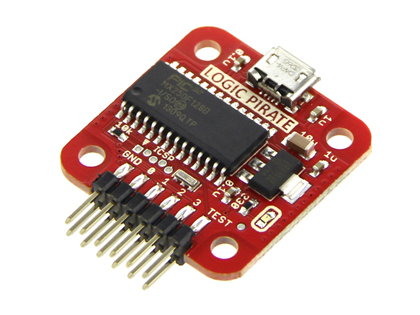 The Logic Shrimp is a medium speed, low-cost logic analyzer with a USB interface. It can capture up to 256K samples at 20MHz. Compatible with the open source SUMP logic analyzer client.